Specializing in the endless varieties of the Indonesian Archepelago. I'm an Indonesian food bandit because I run a DIY Indonesian food delivery service in LA called Lasian Kitchen. If you've ever seen the 80s kung fu movie called Wheels on Meals with Jackie Chan—where he delivers food around town in a little car—that's exactly like me riding around on my motorcycle. I'm a stuntman, caterer, and DIY food delivery person. My earliest memory of being so blown away by it all was when I was doing this super-low-budget Thai film in Chiang Mai. The strong flavors found in that region of Thailand—when you eat it, breathe it, and live it every day—just get hard-wired into your marrow. 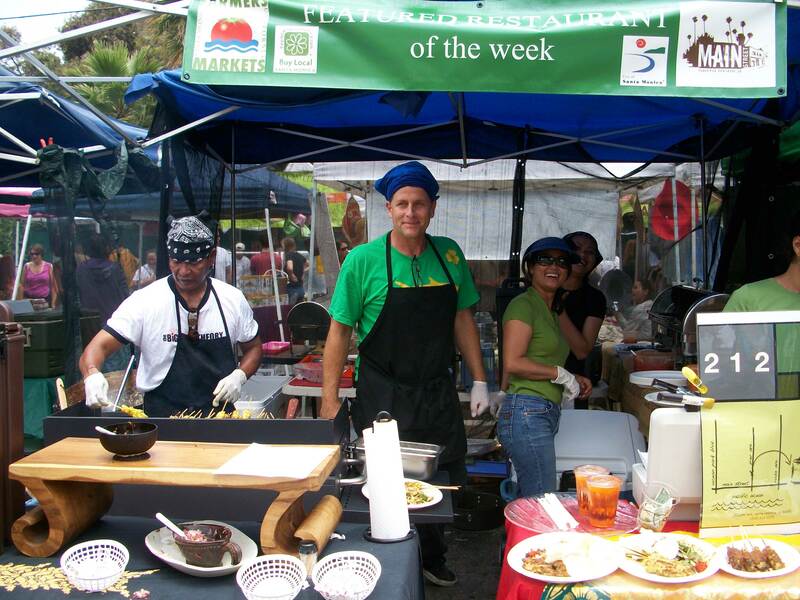 My obsession with Indonesian food came later on in LA around 2008. I decided to add Indonesian Kuntau Silat into my martial art repertoire, and then started eating Indonesian food at this restaurant near the dojo where I trained to complete the experience.